The nematode C. elegans is a classic study object of developmental biology and genetics, which is particularly suitable for studying the molecular bases of meiosis. Developing meiocytes are located in the threadlike gonads of C. elegans in linear gradient order of the stages of meiosis, which facilitates studying the order of intracellular events during meiosis. C. elegans has polycentric chromosomes. This causes a special order of events during meiosis, and as a consequence, meiosis in C. elegance differs from canonical meiosis of most eukaryotes. In the meiotic prophase I, all chromosomes carry single protein “pairing centers.” They are responsible for joining homologous chromosomes in pairs. This initiates the formation of synaptonemal complexes (SCs). Programmed double-stranded DNA breaks appear after initiation of the SC assembly, and they give rise to meiotic recombination. The initiation of meiotic recombination after the chromosome pairing distinguishes the C. elegans meiotic pattern from those in the absolute majority of eukaryotes studied. C. elegans has strict crossing over interference, which allows for the formation of one chiasma per bivalent. In the late prophase I, the polycentric centromeres are remodeled, one of the chromosome ends acquires a cuplike kinetochore, and during two meiotic divisions, chromosomes behave as monocentric. The study of meiosis in C. elegans allows for separate investigation of synapsis and recombination of homologous chromosomes and provides material for studying the evolution of meiosis. Original Russian Text © Yu.F. 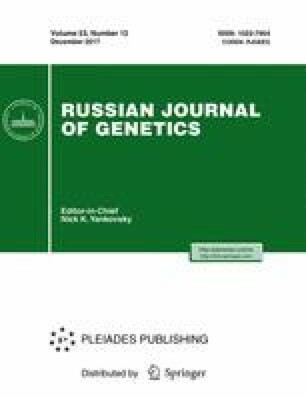 Bogdanov, 2017, published in Genetika, 2017, Vol. 53, No. 12, pp. 1363–1379.